Predictable is one good term that can associate websites. On the other hand, the word means boring and unexciting for businesses. But there is a nudge for websites to be predictable enough for users to engage themselves. At the same time, it should be capable of working like the ones that perform well. Else, the perspective you think would put your users off the track. Imagine your website as a motorbike. While consumers show more interest towards innovative products, your appealing ideas could grab their attention. A touchscreen system and censored indicators are not that noticeable on a brand that revolutionizes the way vehicles operate, such as the one that has an automatic gear shift. Likewise, websites with such features could be attractive but less user-friendly. To your notice, these sites are designed to be just a “Wow factor” For visitors. But it is necessary to prioritize more on the user experience than on popularity. You should be able to maintain certain things that your customers cannot miss at any cause, like the menu options or the content. The website depends on both predictability and the way it fascinates. You must help your customers feel comfortable to navigate through your site else they get away. By the way that doesn’t mean predictability is boring. And that is why websites have come up with a new idea of integrating virtual and augmented realities into UI Solutions. This is made user effective by using VR-supported browsers. Using this technique could help customers view products from their home before making it up with the purchase. Let’s dive in deeper on building up a consistent website and even deeper on how it works. The best way to withstand UI consistency is by keeping up simple website design. That doesn’t mean the website should be boring. It is having your website clean and structural enough for the users to peep in. It is good to go with a simple visual design to maintain consistency. Google rewards the sites with a simple design as users judge them to be “Most beautiful”. It was since 2012, and still, users expect the same simple designs on the website. You could change the standard layout before crossing the visual complexity. 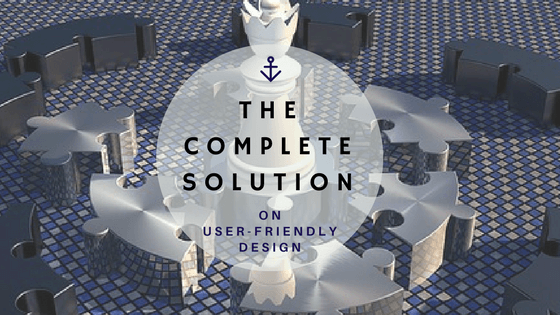 Instead of trying to build a new structure try impressing your users with the simple ones. For example, consider the following website Feedmusic.com – recognized by Awwwards. The website looks simple and beautiful. Even on scrolling down the pages it still maintains the same quality. Making use of graphics and exciting ways can take simple layout to next level. It is possible to stay consistent and still out stand the crowd with creative and original UI design. An essential thing that you need to maintain consistency on your website is the content. Delivering a quality content involves a constant tone, voice, and quality. Overruling any of these terms could end up with spammy content which affects the business. The way you carry your content should reflect your site and complement design. By the way, your content should feed the need of your users. On the other hand, the number of times you post on social media platforms also matters. The consistency you maintain over content helps you generate more traffic towards your website and improves your business automatically. These are some important things that your users expect to be consistent from page to page that facilitates easy navigation. Changing fields from page to page would confuse users and even irritate them that they leave away. Your users are not so familiar with your site structure. Make sure that you build a website with your toes in their shoes. This could highly help you design a website that is not only consistent but a user-friendly one. The foremost thing of all the above is maintaining internal consistency on your website. Allow slight variations that keep users fascinated. Add more innovation to your website but make sure to maintain the same consistency on it and even comprehensible. It is obvious that people click on highlighted areas and pointed sections. And now you predict that they return to your homepage. From there, your user understands that the menu options lead to their desired content. So making them work on their intuition makes sites access faster than they expect and that is how a website should process to grab users attention. Never try to underestimate this functionality. As when users find it difficult to navigate through your website it turns up as a bad impression on your website as well as your business. It is indeed to maintain internal consistency through design patterns. Having interactive designs could make users engage on your website and even make them perform certain actions such as subscribe mail list or even proceed with the sales process. It is definite that you should be a better presenter to your audience with the advancement. Make sure that using advancements do not affect your standard or credibility of your website. Always try to maintain consistent design standards and along with appealing content on your website. This could definitely bring your promising leads to your website and even convert them into sales. If you are trying to add too much to your website and failing to maintain the standard then you would definitely regret it. Always try to balance on both design and consistency. That is how you grab your customer attention and convert them into leads. Hope this post helps you in a better way to design a predictable, consistent website and to develop your business. Do let me know on your success stories. Also, try understanding what would be the features of a perfect web design.